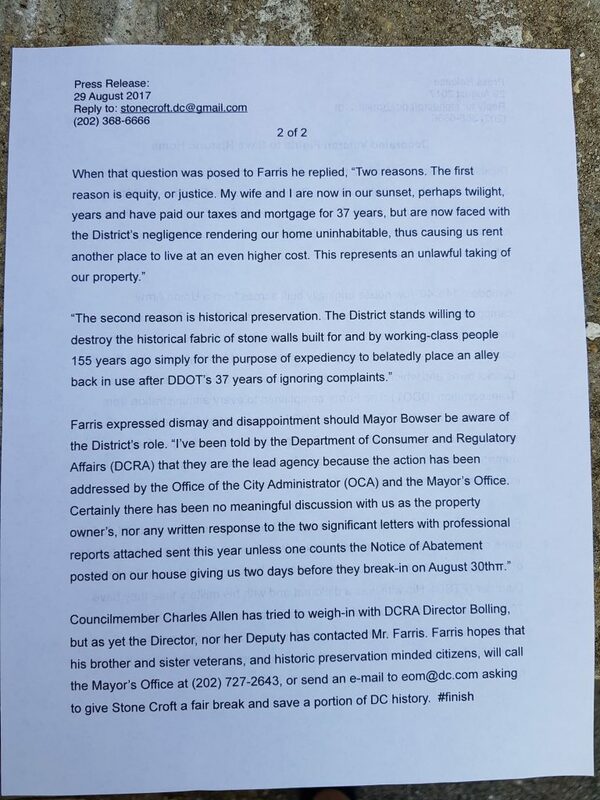 I live in North Capitol Hill, and was walking my dogs this morning when I came across George Farris. He’s been fighting the city for years over the damage done to his historical house (built in 1862) by the city. 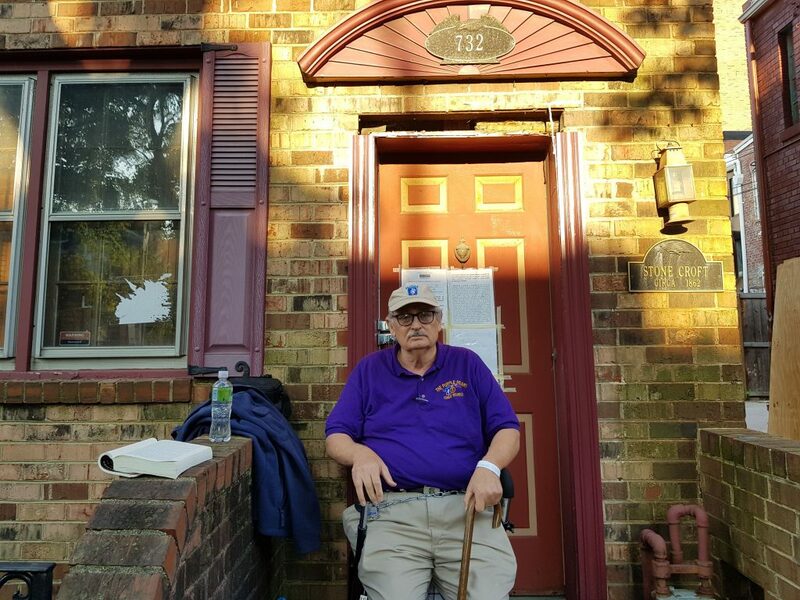 His story will ring familiar to many DC residents, an impossible-to-navigate DC bureaucracy that can make our lives miserable. 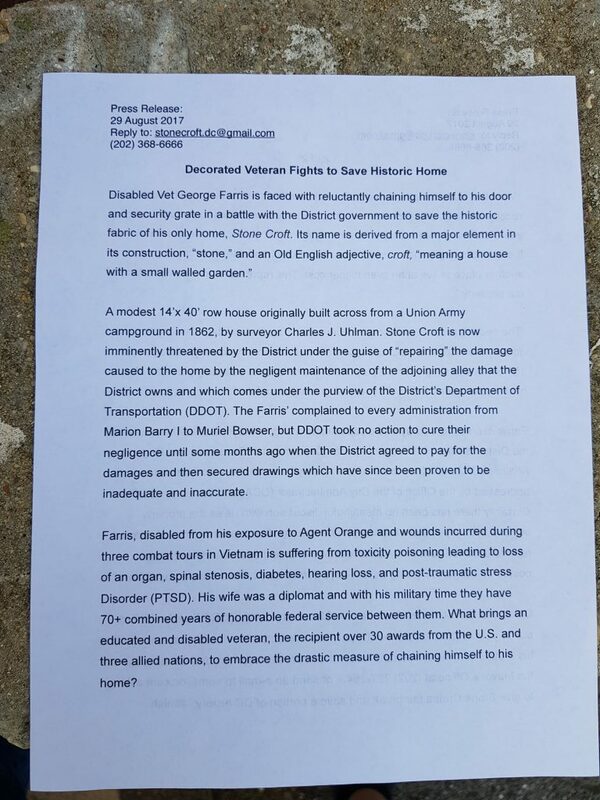 George is elderly, and disabled from his service in the Vietnam War. It kills me that anyone has to deal with this kind of thing, much less someone like him. The city is threatening to break his door down and he’s chained himself to his front door to prevent it. I think your readers might find his story interesting. It all just breaks my heart.